Late detection and referrals have been cited as some of the causes leading to early deaths among cancer patients in Nandi County. Speaking during a medical cancer screening camp organized by the county department of health and sanitation in partnership with Apollo Hospitals, India, Dr. Kenei an Oncologist at the Kapsabet County Referral Hospital, cited stomach, esophageal, and breast, cervical and prostate cancers as leading in the region. “Cancer is treatable when identified at its initial stages. Most patients succumb because they show up when the disease reached unmanageable levels,” he stated. He advised members of the public to ensure they take early initiatives to know their cancer status to make it cheaper to manage the disease. “Cancer is a disease that affects all parts of the body apart from the hair and teeth,” said Dr. Kenei. Dr. Stanley Kiptanui who accompanied Dr. Kenei appealed to all well-wishers to join hands in supporting cancer treatment and awareness initiatives. 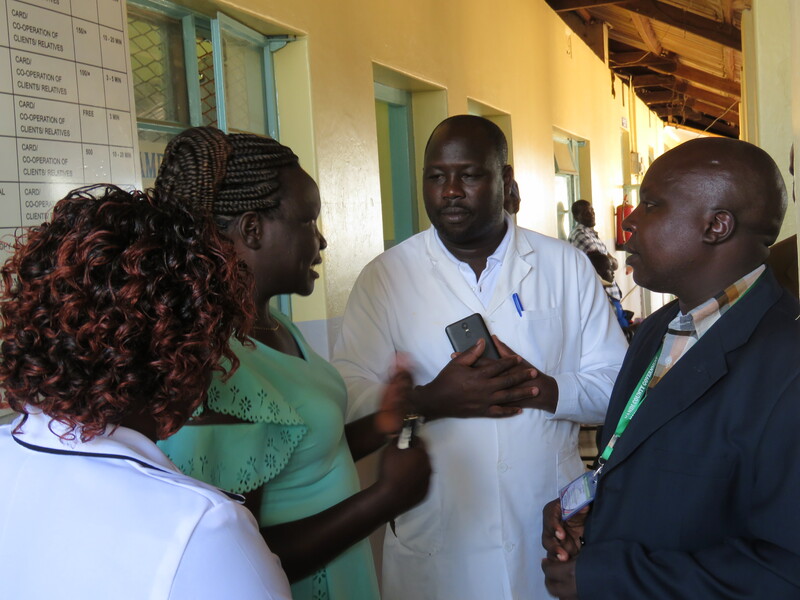 He noted that there was need for equipping all health facilities in the county with cancer screening apparatus to benefit everyone. Dr. Kenei added that the county was studying on the main causes of cancer within the county so as to employ safety measures to control its prevalence. A cancer survivor, Ms. Jane Koech described how she had lived with the condition for over five years, urging those with the disease not to shy away from seeking treatment. “Things are better now that the government supports those suffering from the disease which is very expensive to manage,” stated Jane urging residents to ensure they take a health cover with NHIF to help them meet health care without much strain. Ms. Jane cautioned community members against discriminating upon people suffering from cancer noting that they require both material and moral support.